New precision milled grooves increase spin rate approximately 350 rpms on full shots and 200 rpms on shots around the green compared to original Glide Wedge. Higher lofted options (54 – 60 degree) engineered for finesse shots around the green have 2 more grooves than original Glide. 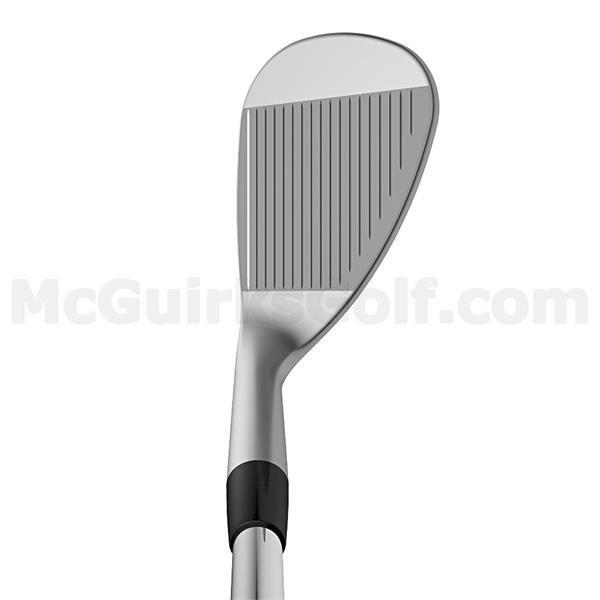 Lower lofted options (46 – 52) designed for full shots have one additional groove compared to original Glide. 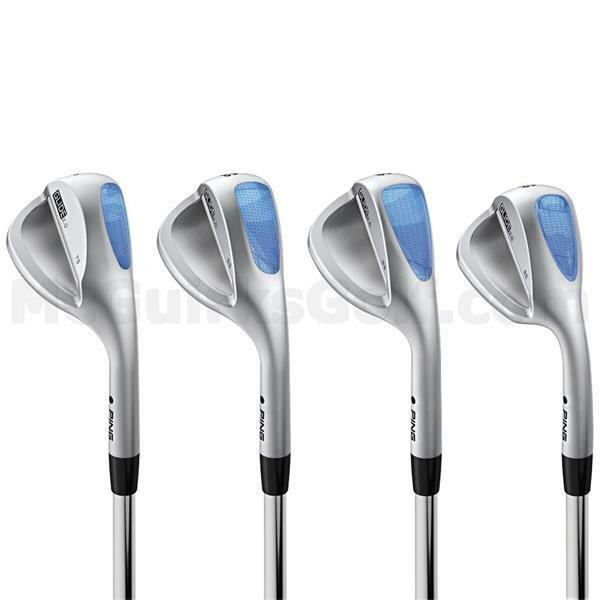 Soft 431 stainless steel heads with hydropearl chrome finish repels water. Four sole widths Thin (TS), Standard (SS), Wide (WS) and Eye (ES) allow golfers to fit their wedges for typical divot depth and playing conditions. 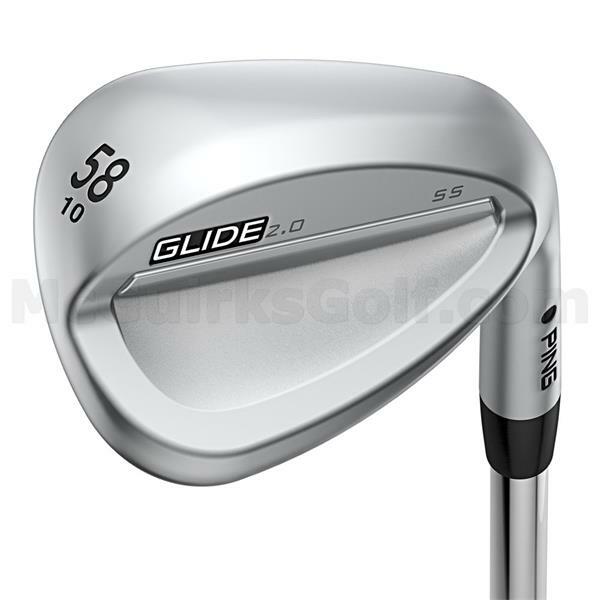 Increases spin rate for more control and precision compared to original Glide wedge on full (approx. 350 rpm) and pitch shots (approx. 200 rpm in dry conditions, nearly 1000 rpm more in wet conditions). Glide 2.0 pitch shots perform nearly identical in dry and wet conditions. Groove specifications vary by loft (right) to optimize performance based on typical shot requirement, such as a full shot into the green or partial, finesse shots around the green requiring more precise control. Lower lofted wedges (46°– 52°) feature a 16° sidewall to maximize groove volume and have 1 additional groove compared to original Glide. Higher lofted options (54° - 60°) have 2 more grooves and are milled with a 24° sidewall and a tighter radius to compress the ball for more spin on partial shots. Allows golfer to custom fit wedges to typical divot depth and playing conditions. 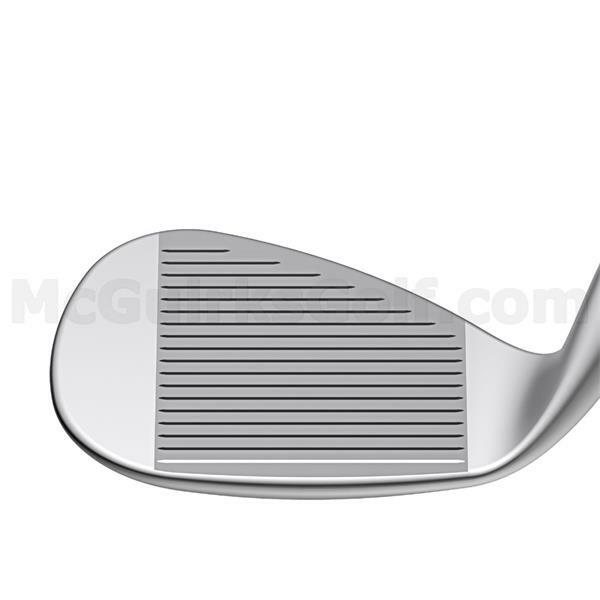 Thin Sole is suited for a shallow attack angle and shallow divots; Standard Sole fits moderate attack angles and divots; the Wide Sole is best for steep angles of attack and deep divots; the Eye Sole is versatile from all conditions, especially bunkers.